#SocialMediaTherapy: Follow These 8 Instagram Accounts To Improve Your Mental Health! Before you read on, ask yourself this: when was the last time you checked Instagram? And how many hours in a day do you spend mindlessly scrolling through your feed? Let's acknowledge one universal truth: we live in the age of social media. Not only does it make it easier for us to keep in touch with friends and relatives, but it also gives us a creative outlet for self-expression, creates awareness about what's going on all over the world, and is also a major sales tool for businesses. But do you find yourself endlessly curating your Instagram feed? How often do you find yourself standing on a chair to get a good flatlay shot of your morning coffee? A 2017 study by the UK's Royal Society for Public Health has confirmed our latest fear: Instagram is terrible for our mental health. 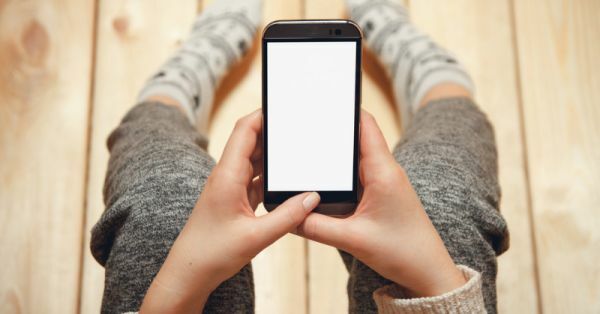 The study, called #StatusofMind looked at how young people interact with social media apps and surveyed people aged 14-23 about issues like anxiety, depression, and body image. It found that Instagram was the most detrimental social media app to a young person's mental health, owing to unrealistic beauty standards, airbrushed images and unrealistic lifestyle expectations. Mari Andrew is a writer and illustrator who creates awareness about mental health through her art. If you want more of her art, you can also check out her books Am I There Yet? The Loop-De-loop, Zigzagging Journey to Adulthood and Getting There: A Workbook for Growing Up. Follow here. Sad Girls Club was founded by 27-year-old Elyse Fox as an online community for women struggling with their mental health. Fox also holds real-life meet-ups in New York City, where she is based. Follow here. Dealing with mental health issues becomes a lot easier with some positive reinforcement. That's exactly what Dani DiPirro does with Positively Present, by combining art with tips on how to deal with a bad mental health day. Follow here. Brazillian illustrator Marcela Sabiá is a self-love, mental health and body positive advocate, and her illustrations on anxiety, body-image issues, depression are relatable as well as inspiring. Follow here. This illustrator suffers from anxiety and has just the antidote for your struggles with mental illness--cute animals! Her illustrations comprise animals and inspiring messages, and they've certainly made us smile on a bad mental health day! Follow here. Alec With Pen is an American comedian and illustrator whose works have appeared on Comedy Central and McSweeneys, to name a few. His Instagram account mixes comedy and art to offer a light, humorous take on dealing with mental health issues. Follow here. Beth Evan's illustrations act as a comforting mug of a warm beverage on a rough day. Her simple, funny yet nuanced take on dealing with mental illnesses will touch your heart as it did ours. Follow here. We hope these accounts will make your Instagram feed more inclusive and relatable. And always remember, if you think you have symptoms of mental illness and it is severely affecting you, PLEASE don't be afraid to reach out to your loved ones and seek professional help.